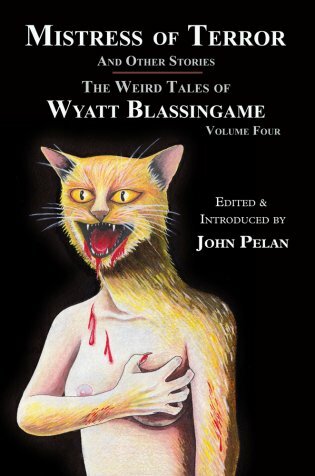 Wyatt Blassingame must have something going for him -- Ramble House is up to Volume 4 of his horror stories while the best of the other loons at Dancing Tuatara Press have barely had two! Maybe it's because no one else could write a weird menace yarn like Blassingame. Just check out the titles of his stories and you'll see why he stands out when it comes to trolling the depths of depravity. As always, John Pelan lays the foundation for the collection in his introduction and Gavin O'Keefe sets the scene for debauchery of the first order with his cover art.